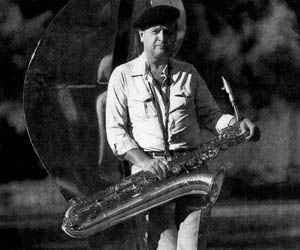 Czech baritone saxophonist, flutist, composer, arranger, educator. Born December 29, 1931 in Prague (former Czechoslovakia). Emigrated to West Germany in 1965, moved to the USA in 1971, US citizen since 1980. Partly returned to the Czechoslovakia in 1991. Founding member of Studio 5 (2) and SHQ.